In the last installment of Counting, we saw Bruce turn into a superstar with Born To Run. 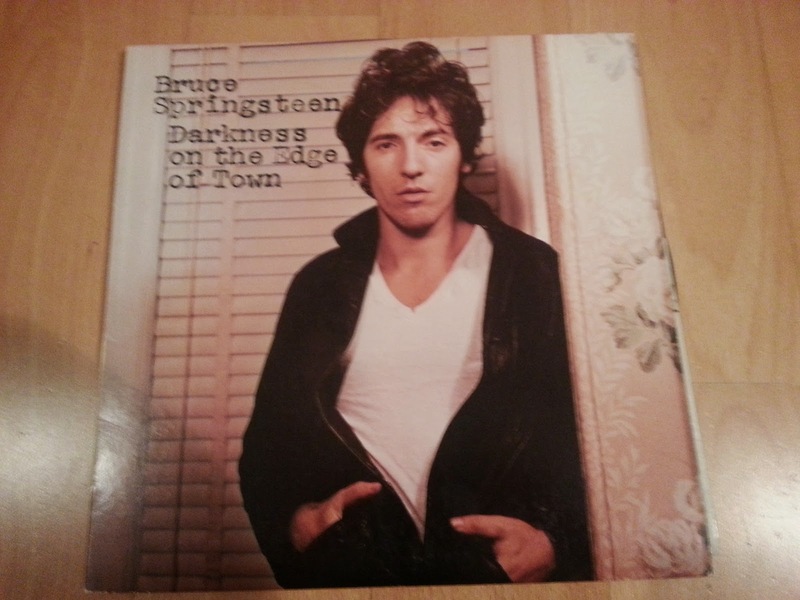 The years following Born To Run were a bit tumultuous for Springsteen, as he split from his manager Mike Appel, leading to his most somber album to date, the appropriately titled Darkness On The Edge Of Town. Not only are the songs dark, but the album packaging is Bruce's most brooding to date. Gone is the smiling man on a stamp from Greetings, the shirtless goofballs from Wild, or the slyly-grinning shaggy-bearded scamp from Born To Run. Darkness only gives us three photos of Bruce, and none of the E Street band members. First, the cover: Bruce staring dead-eyed forward, with a jacket. 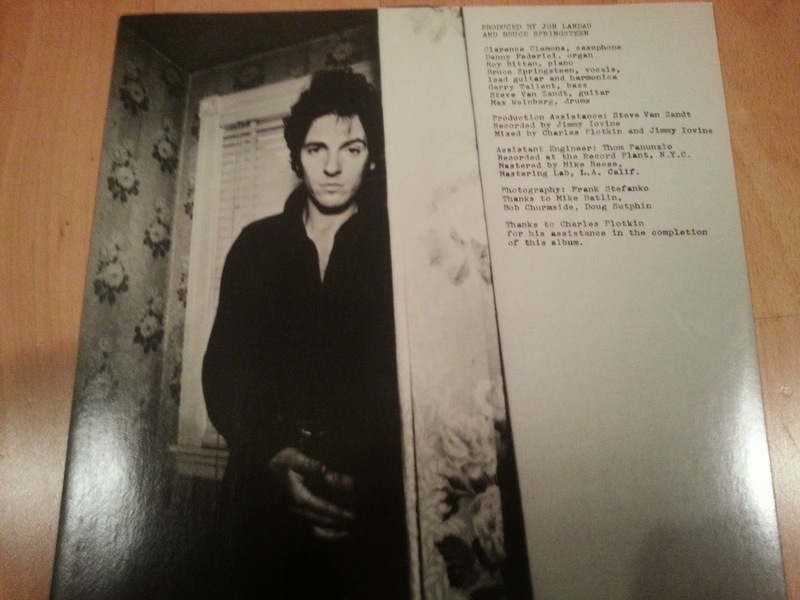 Next, the back cover: Bruce staring dead-eyed forward, without a jacket (and with remarkably hairy arms). 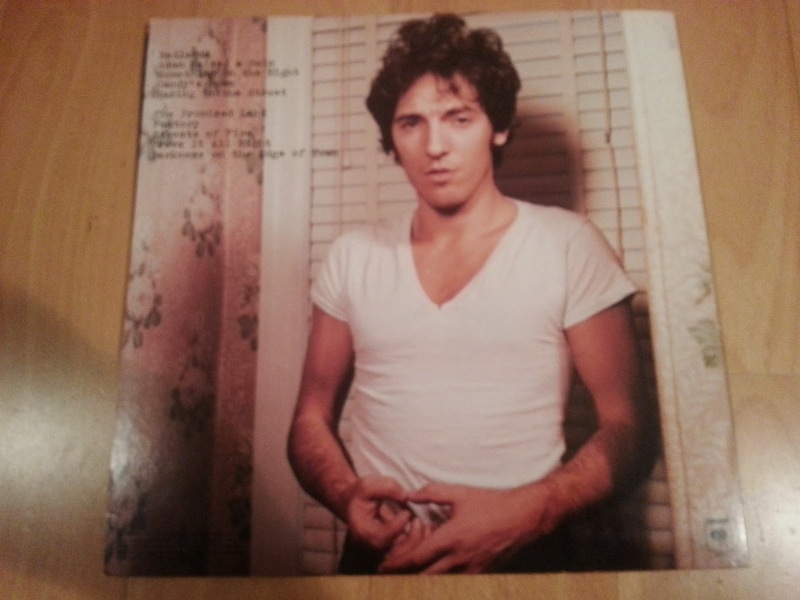 Finally, the inside sleeve: Bruce, staring dead-eyed forward, with the jacket back on. It's worth noting that this is the first album with a unique inside sleeve since Greetings. 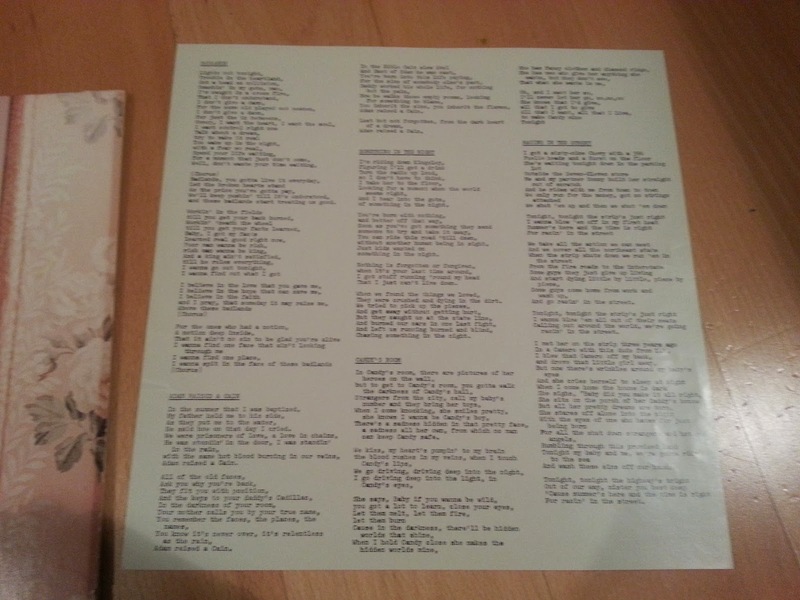 In a first for Springsteen albums, there is an insert inside the record: a sheet of paper with all the lyrics. Personally, I prefer seeing the lyrics printed on the record package itself - the sheet of paper seems like an afterthought and could easily get lost. So, overall, this package is like the music itself: simple, dark, and a departure from Springsteen's previous works. It's probably the least exciting packaging I've reviewed so far, but in a way, it totally fits. 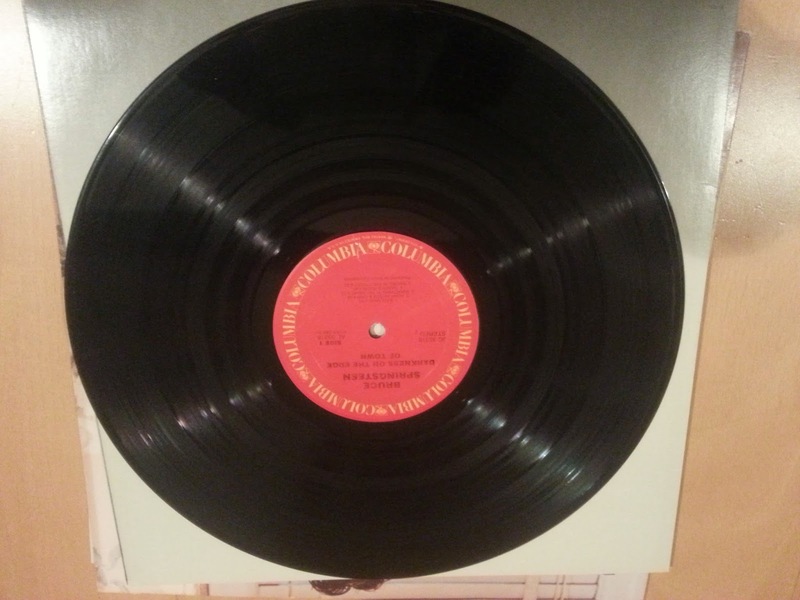 And yes, the record still looks the same as the rest. God bless you, red Columbia circle.